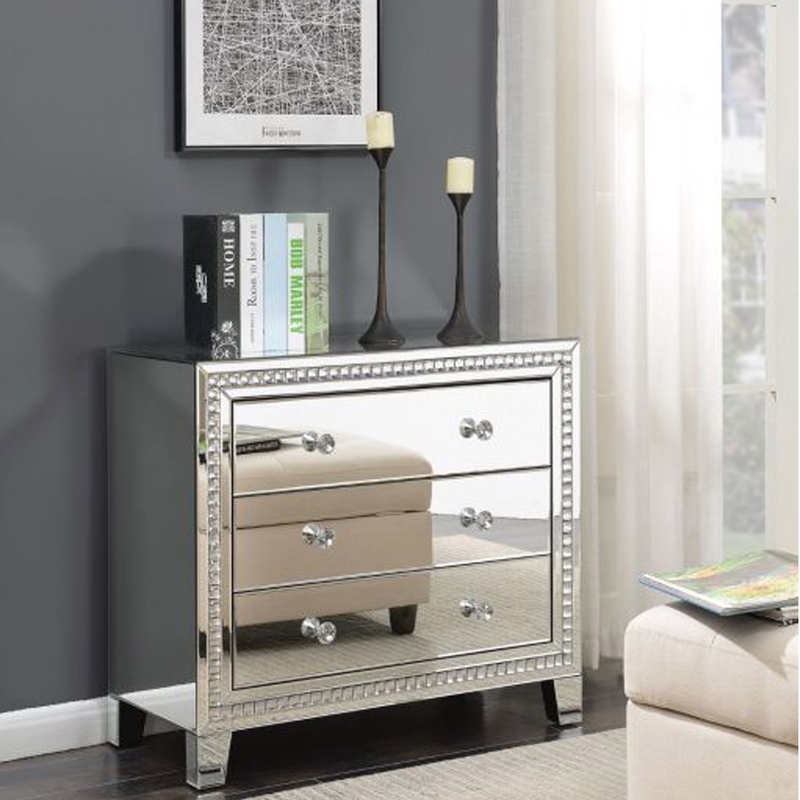 This is a stunning drawer chest which has a beautiful mirrored modern finish to it. This drawer chest will be sure to give you the illusion of a bigger and brighter room. This drawer is going to make your room feel complete and will go and fit along nicely alongside the rest from our mirrored furniture collection.